The Mountain View Country Inn dates back to the old “Royal” hotel era of which most hotels have already been demolished or converted to office space. Few of these hotels still exist and even less still have the original old fashioned charm, character and warm homely feeling. The Mountain View Country Inn still has it all. 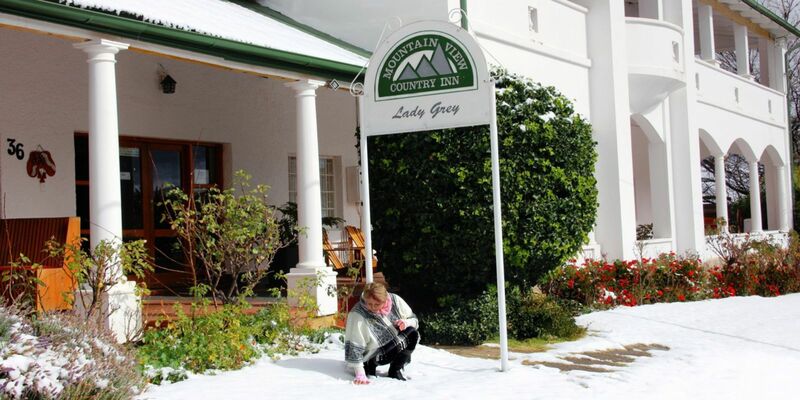 The owners, Otto and Dalene Oertel, grew up in Lady Grey and dearly love and cherish the old Inn. 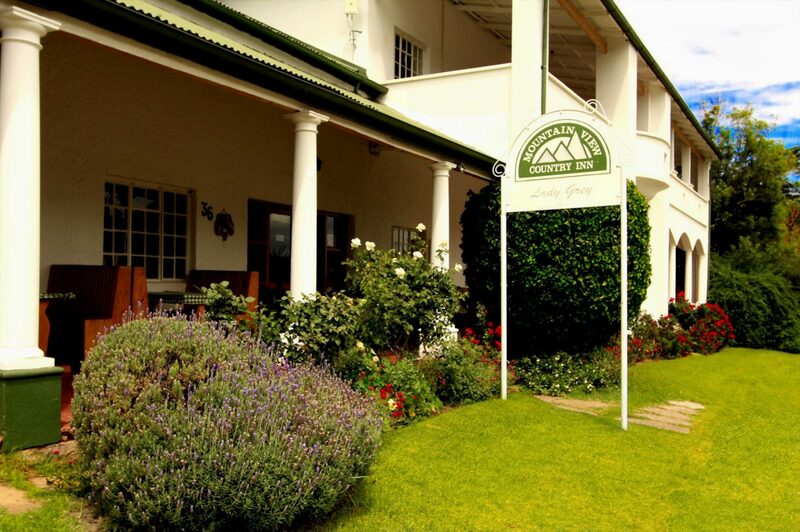 After many years of living in South African cities and abroad, their passion for Lady Grey brought them back in April 2002 when they bought the Mountain View Country Inn. Instead of the clinical white and mass produced “all rooms look the same” approach, they decided to follow their hearts and decorate each room according to it’s own character. Beautiful antique furniture adorn most rooms and the feeling is clean, comfortable, warm and welcoming. All rooms have on-suite bathrooms and the usual guest amenities. The Restaurant is named “Lady Eliza’s”, after the wife of Sir George Grey, and is open to the public. 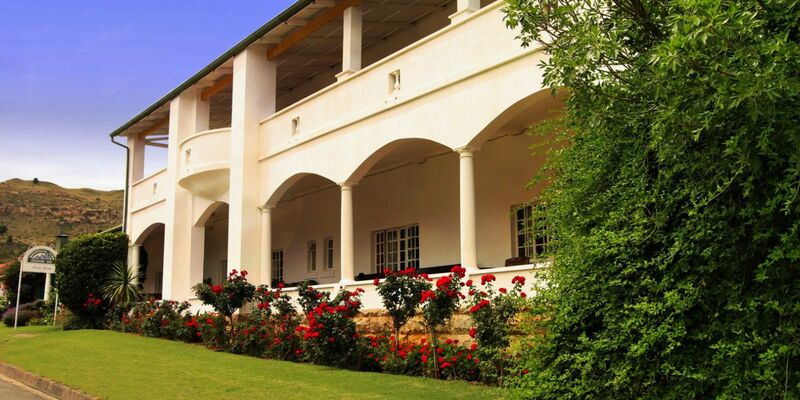 The A la Carte menu offers a wide selection of delicious meals. Light entertainment is often provided and guests often drive long distances to eat at Lady Eliza’s. The recently opened Sarah Bella Coffee Shoppe was named after the “plucky post mistress of Lady Grey”, Sarah Bella Glueck. Early morning the full Continental spread as well as an English breakfast is served. It is open throughout the day and the menu contains a wide selection of meals and beverages. The Conference Facility originally served as a storage area for Liquor but was recently renovated to become a comfortable Conference Venue. It has full floor carpets, air conditioning, a large pull-down overhead screen, white board, flip chart, many power points for computers and comfortably seats 45 delegates at tables or 60 in rows.